T.V. Paul is James McGill Professor of International Relations in the Department of Political Science at McGill University, Montreal, and a leading scholar of international security, regional security, and South Asia. 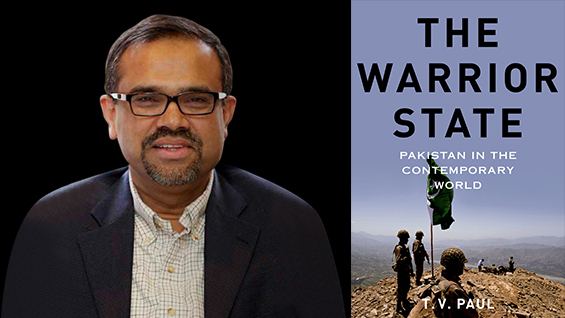 His 15 books include: The Warrior State: Pakistan in the Contemporary World (Oxford, 2014); Globalization and the National Security State (co-authored, Oxford, 2010); The Tradition of Non-use of Nuclear Weapons (Stanford, 2009); India in the World Order: Searching for Major Power Status (co-authored, Cambridge, 2002); The India-Pakistan Conflict: An Enduring Rivalry (Cambridge, 2005); and South Asia’s Weak States: Understanding the Regional Insecurity Predicament (Stanford, 2010).